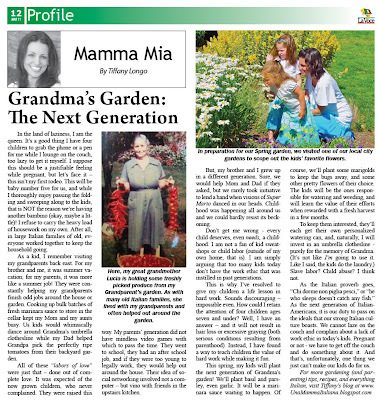 My March Article for La Voce Newspaper! 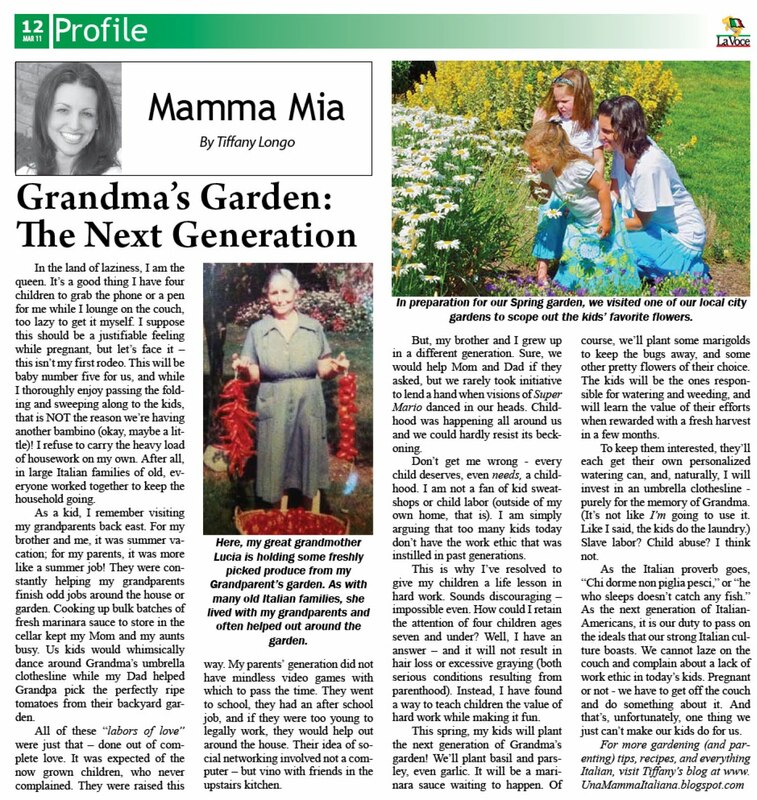 Just click on the image to enlarge it and read about our version of my Grandma Rose's garden! Italian Mammas Put Meals on Wheels!